With fresh snow to enjoy and big savings on catered chalets, January is a great time to go skiing in the Alps. Groups of friends, couples in search of romance, powder-hungry pros and eager learners looking for peace and quiet are all well-placed to make the most of January’s usually bumper conditions. With plenty of tempting ski deals already available for January and beyond, and early-birds snapping up holidays to their first-choice resorts, here are a few good reasons to make January your ski holiday date of choice. With the busy festive period done and dusted for another year, January is a wonderfully peaceful time to ski in the Alps. Queues for the lifts are at a minimum and the slopes are uncongested, leaving you with the feeling of having the pistes to yourself. By the time January ticks round in the Alps, the winter season is well underway. The snow has settled nicely across the peaks and valleys, all the lifts are cranked up and the ski areas are fully open. Although January is a very cold time to visit the mountains, the pistes are typically pristine. Just sharpen your edges, remember your layers and get out there! With fresh snow and low temperatures, the Dolomites in Italy are at their best in January. On the accommodation front, the January weeks are among the least expensive across the entire winter season. 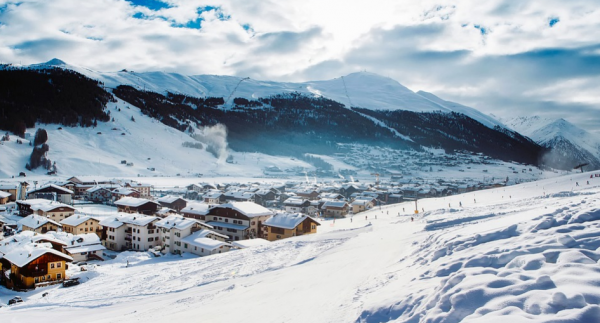 Skiers and snowboarders travelling out to the mountains at this time of year can enjoy huge savings on chalet rentals – leaving more money for lift passes and a few well-earned après ski drinks. For experienced skiers and snowboarders keen to head off the marked trails, January offers the perfect window of opportunity to explore the Alpine backcountry. Regular dumps of fresh January snow often mean superb conditions, and with lower temperatures the snow stays dryer and fluffier for longer. Transceiver, probe and shovel at the ready! With fewer holiday-makers in resort over January, booking ski tuition can be a breeze. There’s less competition for the top ski schools, so you can shop around for the classes and courses you need. That said, we do recommend booking ski schools in advance where possible – just to be sure. If you’re planning a trip to the Alps this January, or indeed later in the winter ski season, our knowledgeable team is on hand to help. You can call us on 020 3080 0202 or get the ball rolling via our helpful online chat service.